Oil and collage on cardboard. 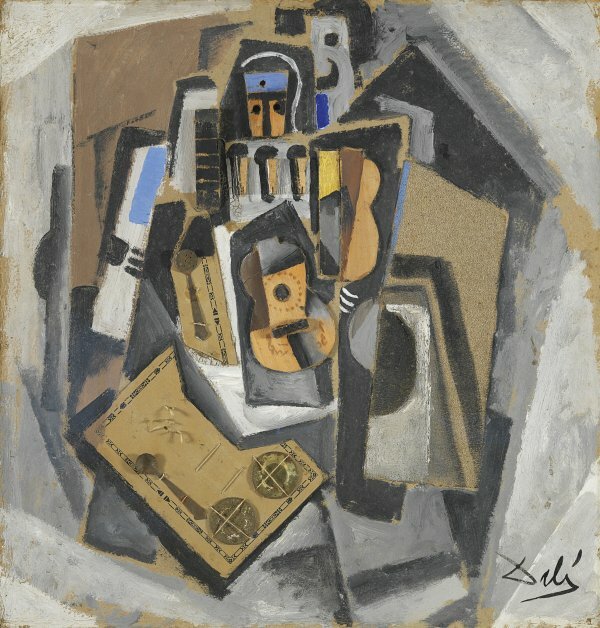 The Thyssen-Bornemisza Pierrot with a Guitar, a collage the artist amused himself making as a gift for his cousin Montserrat Dalí, is considered by Rafael Santos Torroella to be “a small masterpiece of Cubist inventiveness” and “one of those in which Dalí best captured the spirit and meaning of that trend.” Most likely executed at the Residencia de Estudiantes in Madrid, where the young painter lived while studying at the Escuela de Bellas Artes de San Fernando, it belongs to the Cubist series he produced between 1923 and 1925. In the present Pierrot the interpretation of Cubist fragmentation takes the form of a surface divided into different planes and, like all Dalí’s Cubist works, is closely related to the Neo-Cubist trends that the Madrid avant-garde circles were late to espouse. 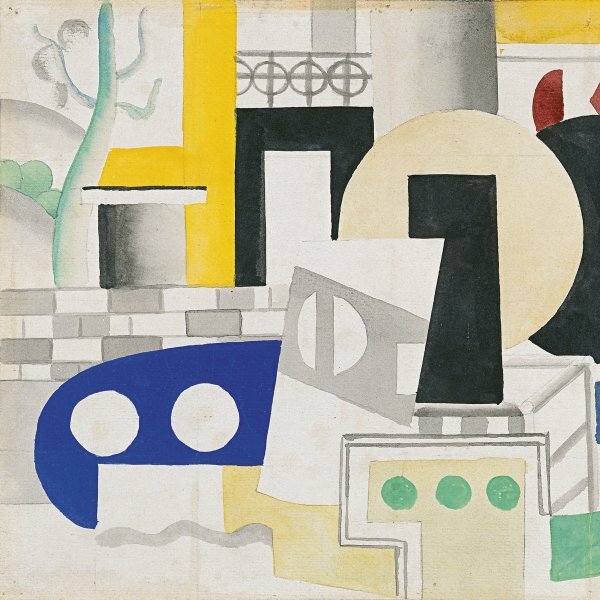 It furthermore bears a close similarity to a Still Life by Picasso reproduced in the second issue of the journal Valori Plasticipublished in 1919.